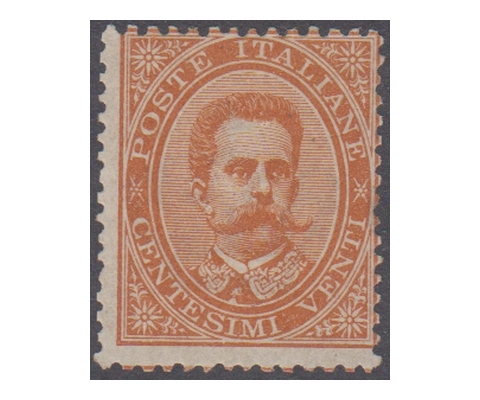 Umberto I, 10 centesimi carmin -EF centering- 1v us. 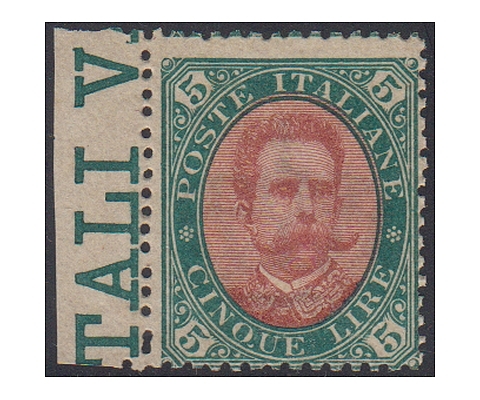 Umberto I, 5 centesimi green -EF centering- 1v us. 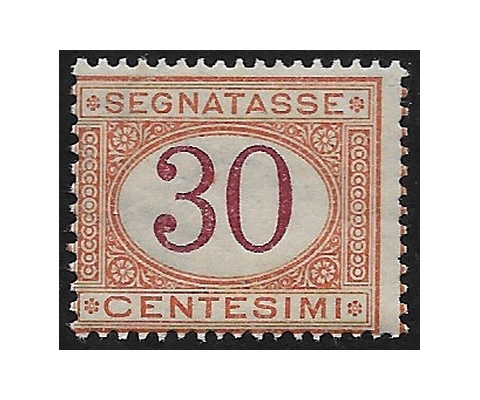 Umberto I, 20 cent. orange -EF centering- 1v us. 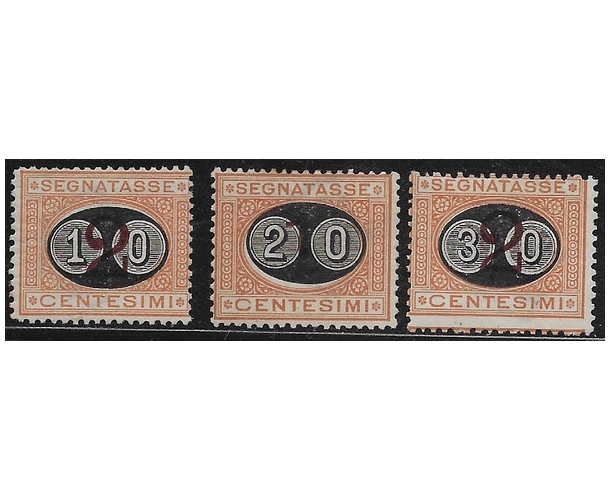 Umberto I, 25 cents. light blue - 1v us. 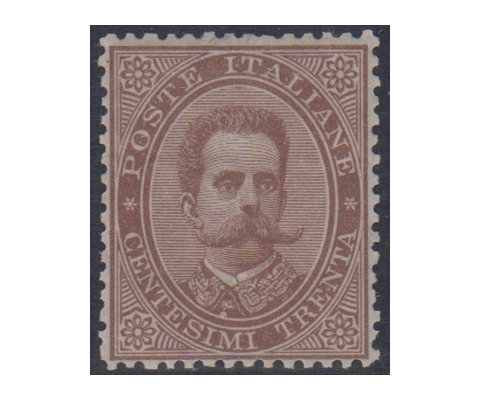 Umberto I, 25 cents. blue -EF centered- 1v us. 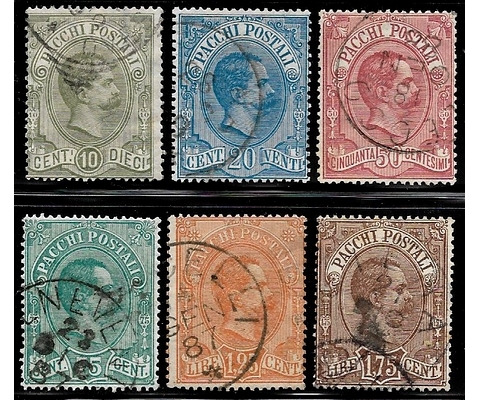 Umberto I, 5 centesimi green - 1v us. 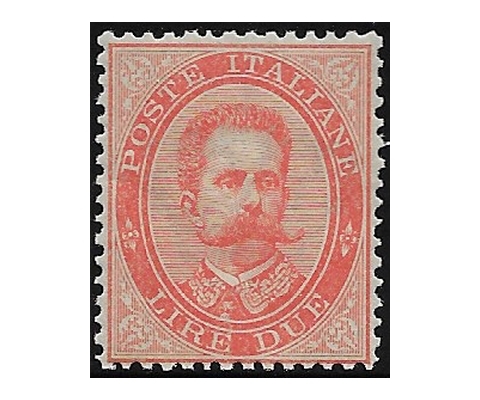 Umberto I, 10 centesimi carmine - 1v us. 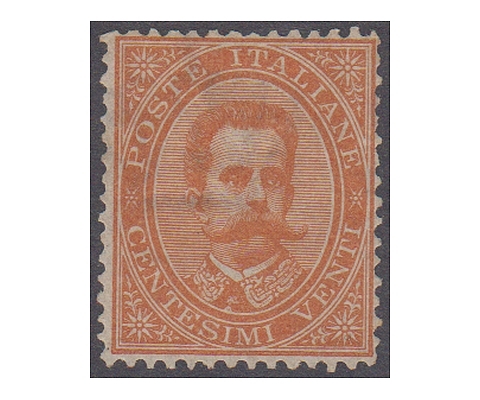 Umberto I, 20 centesimi orange - 1v us. 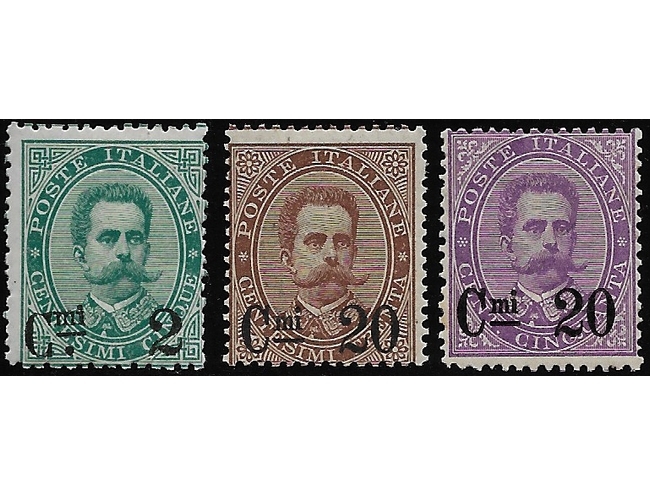 Umberto I, 50 centesimi violet - 1v us. 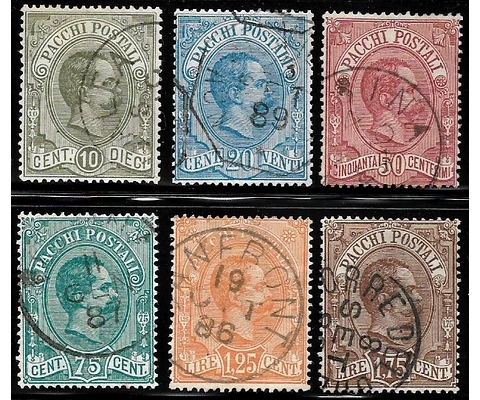 Post parcels effigy of Umberto I -Fine centred - 6v us. 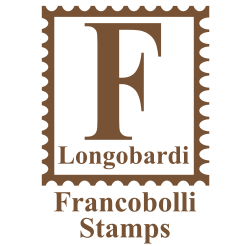 Post parcels effigy of Umberto I - 6v us. 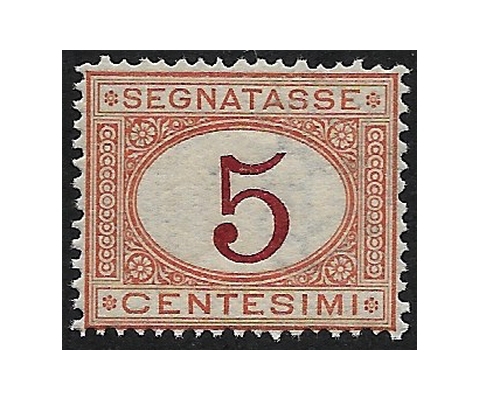 Badge, 5 centesimi green - 1v us. 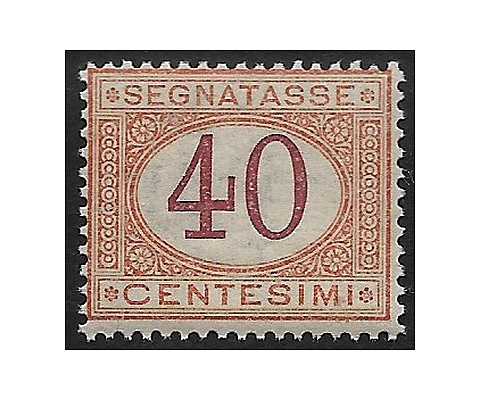 Umberto I, 40 centesimi brown - 1v us.